Milan Fashion Week ended on a predictable but never the less a high note after all of the early controversy with the Rick Owens show. Shows like Fendi and Bally were exceptional closers, so let’s take stock. In no particular order, these are the five collections that really caught my eye—and even if they do not have the same sort of application here in the West and the clothes won’t be available here for quite some time (if at all being Perth, unless you head online), the looks these designers showcased have some lessons in dressing you could begin to apply when our summer passes and the weather gets cooler. 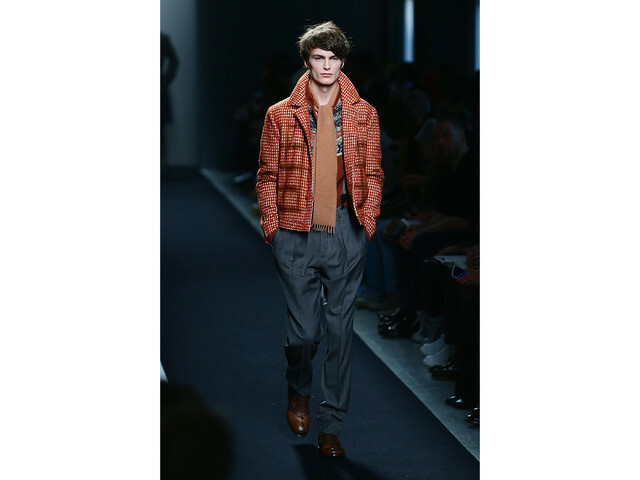 Uncomplicated but posh, Fendi’s show embodied everything that is suggested for the new modern man’s wardrobe. To do this you should try to build a refined palette like this (berry and black) then mix and match pieces to create a new, easy way of statement dressing. 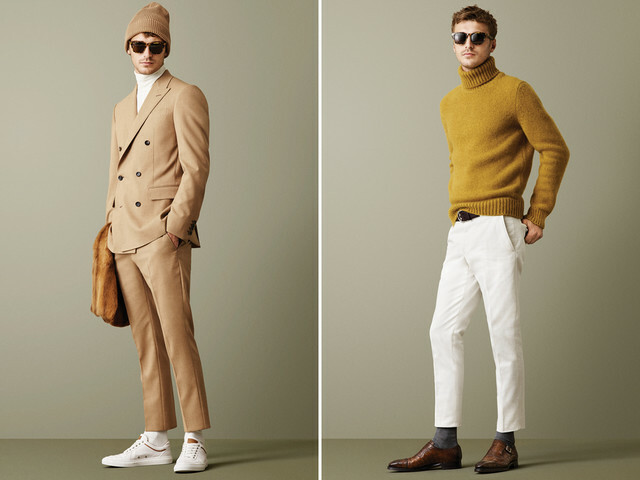 Canali is usually synonymous with classic Italian tailoring, usually using darker and more predictable colours and pinstripes for their collection but here the Milano label modernized their classic looks by presenting them all in cream, like sportswear, separates, and stripes (atypically horizontal and much bolder). One of the great things about this collection was that it was nearly shirtless. By that I mean that button-up shirts were nearly absent; instead a cream crew neck knit was used more than 25 ways to create some epic, timeless looks that I can easily see here in Perth for Autumn. The lighter colors would work in our autumn climate perfectly. Bally was possibly the best collection, after the Rick Owens show at Milan Fashion Week, the collection was filled with exotic leathers, rich amber tones, and an overall retro vibe. 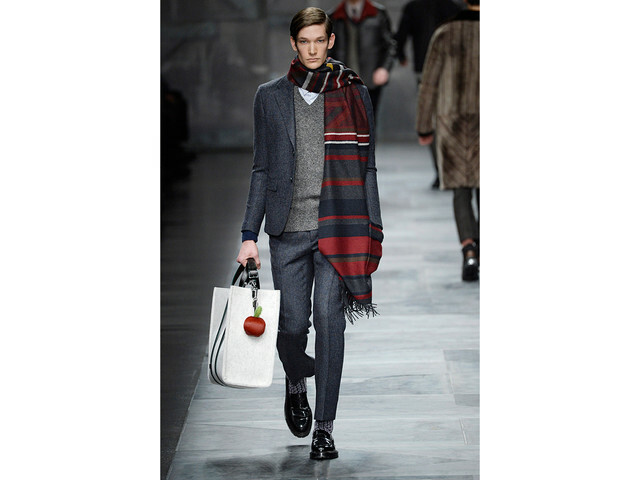 (Bally used Steven McQueen, Peter Fonda, and Wes Anderson’s “The Royal Tenenbaums” as inspirations for this collection.) One of the real standout outfits included a lush white cashmere turtleneck paired with a double-breasted camel suit, all under a yellow ostrich raincoat. It was a lot of look—and looked incredible. Bottega Veneta was one the few Italian brands to show in that week that featured bold and lively colors, making the coming autumn look immediately less dreary and for the Perth climate sat more comfortably with me than the more muted darker tonings that were found in some of the shows (although I know that many men will love the darker colors and you know how much I love black, however this was a real statement of color that I think would work well). There were hues of orange, purple, and green in the collection that felt casually sophisticated, even romantic. How can I go pass the Rick Owens show as one of my top five. Here was the designer once again pushing the boundaries in the presentation of his autumn collection by courting the media in a sensational way. When you look at the fashion, however, you see a collection of very smartly constructed garments that went against the trend of everything else that was shown over the week and for me went straight to the top of the list! 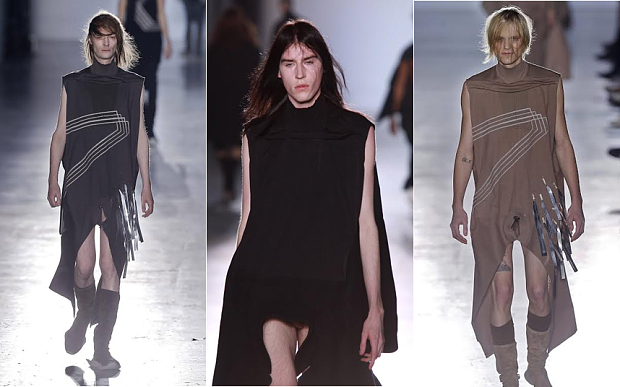 Rick Owens Milan 2015 Autumn Collection – controversy but what about the fashion?